Our facility takes pride in offering full banquet and catering services. 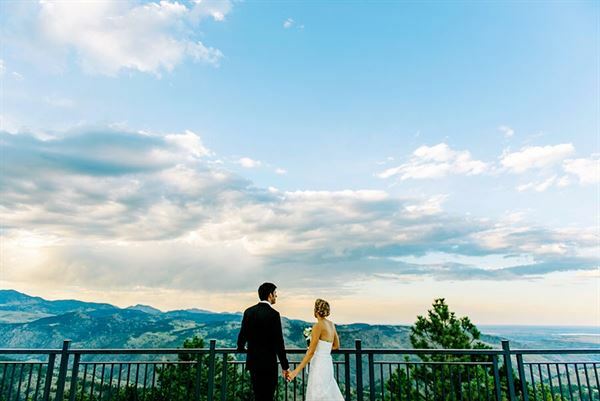 The beautiful panoramic views of the mountains, Clear Creek Canyon and the Denver city lights are perfect for wedding receptions and ceremonies as well as rehearsal dinners, engagement dinners and bridal showers. We are a membership oriented private club, however, our scenic facility is available for rental to non-members for private events. As a perfect foothills venue, the facility includes several meeting and banquet rooms that accommodate 2 to 300 people. We can also provide off-site catering for your private functions. Our professional staff would be happy to arrange all of the details for your event including custom tailored menus, audio-visual equipment, as well as entertainment and decor suggestions.